G Herbos’s hit just got a new version. 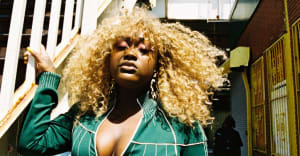 CupcakKe is the latest artist to freestyle over G Herbo's "Who Run It." Hit play on the video above to hear her take on her fellow Chicago rapper's new track. Cupcakke follows A$AP Rocky and Lil Yachty/Trippie Red in reworking the 2018 song. Last month CupcakKe dropped the colorful, LGBT-positive, "Crayons" video. It's the latest drop from her latest album Ephorize following "Fullest" and "Duck Duck, Goose." Thumbnail image via Cupcakke's Instagram.